The name of Real Madrid actually came from Royal Madrid where the word Real is Spanish for Royal. Its name changed after the club was granted Royalty status by King Alfonso in 1920. Real Madrid is a giant club, which has no single individual owner because it is owned by 85.000 members called ‘socio’ who are affiliated to the club and pay a quota every year and every four year ‘socio’ will vote to elect the president to manage the team. Because Real Madrid is owned by thousands of people, so the club is automatically become the most valuable sports team in the world, which worth €2.5 billion ($3.4 billion) and the world’s highest-earning football club for 2013–14, with an annual revenue of €549.5 million. Real Madrid fans name their club as madridista where the number of a fan base reaches over 228 million supporters exist around the world. There is a match only between the Spain giant football clubs called El Clásico, which means ‘The Classic’ in English and there have been more than 260 El Clásico matches. Real Madrid today is identical with its best player, Christiano Ronaldo, that has also been noted as a player with the highest salary, which reaches annual earnings of $88 million (£61 million). 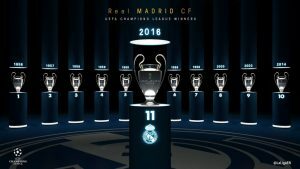 Real Madrid actually had been named as the ‘Best Football Club of the 20th Century’ by FIFA for its achievement in having won the title record for 32 times. 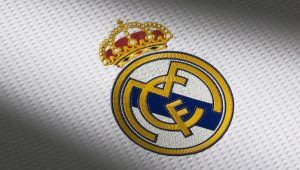 Do not like any other symbol of football club, Real Madrid has The royal crown given by the King Alfonso XIII in 1920, which also shows in the “Real” part of the club’s name. The crest of Real Madrid consists of the three initials of the club, “MCF” for Madrid Club de Fútbol. Real Madrid traditional home colours are all white, although it initially adopted a blue oblique stripe on the shirt. As a big football club Real Madrid of course has such a longstanding of enemy, but unfortunately, the big enemy comes from its neighborhood football club, Barcelona. The rivalry actually comes up because of the two provinces politically, where Madrid as the capital of Spain seen as the region promoting conservatism while Barcelona, as the capital of Catalonia, was at the forefront of ushering in the modern era in everything – fashion, republicanism etc. That is why a regional rivalry always existed between these two regions. It was in 1943 when Real Madrid defeated Barcelona 11-1 after having lost 3-0 in the previous match. What do you think of interesting facts about Real Madrid? 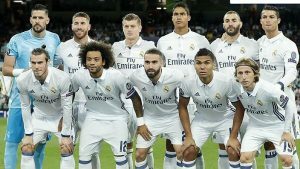 Share the post "10 Interesting Facts about Real Madrid"